Energy efficiency is one of the most important ways we can reduce our carbon footprint on Cape Ann. According to the Natural Resources Defense Council, if home-appliance standards, utility programs, and building codes reached their full potential, we could keep 1 billion tons of carbon pollution out of the air. Here are some important ways to make a difference. Using less energy is one of the most important things we can do to address climate change. Small behavior shifts, such as how we travel, heat our homes, and plan our meals, can reduce our carbon footprint substantially. For many of us, transportation is the biggest part of our carbon footprint — totaling 30 percent of our emissions. Home energy use (heating and cooling, appliances) is a close second. A third important category is food: Eating meat, for example, results in potent methane emissions from the raising of livestock. Think before you drive. Think about walking, biking, and public transportation whenever possible. Consider a hybrid or an electric vehicle. Most new EVs use less energy and are cheaper to operate than gas-powered cars. Though the sticker price of a new electric vehicles is still above that of a new gas-powered car, EVs qualify for a federal tax credit of up to $7,500 and the state MOR-EV rebate of up to $2,500. Arrange for a free home-energy assessment by Mass Save. Complete at least one energy-saving project, such as upgrading insulation or an appliance, improving weatherization, or doing heating/cooling improvements. Buy energy- and water-efficient appliances. Always replace old appliances with those with an Energy Star Rating. Eat less meat. Choose vegetarian options whenever possible. Meat and dairy production requires pesticides, chemical fertilizers, fuel, feed, and water; and greenhouse gases are generated in the process. Choose food that is sourced locally and produced in a sustainable fashion. Eating local produce means less transportation and fewer greenhouses gas emissions. Reduce food waste. More than one third of the food produced on our planet never reaches the table. Aside from the economic and moral implications of this fact, the environmental reality is staggering. FACT You can save up to $246 a year — and save 8,212 gallons of water — by switching to a low-flow showerhead.. FACT You can save $100 a year by using a power strip for electronic equipment and turning things off when they’re not in use..
NRDC. Check out this guide to clean vehicles (hybrids and electric vehicles) and fuels. Mass.gov. 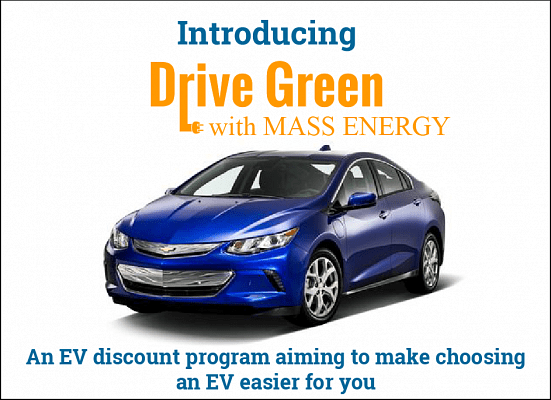 Here you’ll find an overview of state and federal incentives for electric vehicles. MOR-EV. This state program provides rebates to purchase or lease zero-emission and plug-in hybrid light-duty vehicles. Cape Ann Transportation Authority. The CATA provides great, reliable service around Cape Ann and even to the Danvers and Peabody malls. City of Gloucester. Visit this site for an overview of local transportation options. Massachusetts Green Communities Division. Learn about heating your home, improving energy efficiency, and investing in renewable energy. Mass Save. Discover ways to improve energy efficiency in the home, such as weatherization, insulation, LED lighting, and appliance upgrades. See how you're currently using energy and get an estimate of potential cost savings. National GRID. Find useful information about energy efficiency. US Dept. of Energy: Home Energy Saver. Extensive information is provided about saving energy. Included are case studies, blogs, and videos. Mass Energy Consumers Alliance (Mass Energy). Get tips on how to make your home more energy efficient. Cape Ann Farmer’s Market (CAFM). CAFM supports small local farmers, fishermen, and food producers; this, in turn, helps to strengthen the Cape Ann economy. Common Crow Natural Market. An independent natural grocer in Gloucester, this market is committed to bringing organic, sustainable, and delicious foods to the community. Mindbodygreen. Visit this site for the case for eating less meat and reducing food waste. Center for Sustainable Systems. Learn about therole food plays in our overall carbon footprint. Environmental Working Group. This organization makes powerfularguments for eating less meat and cheese and for making greener choices when you do. Energy costs are a top-three business expense for more than one-third of the nation’s small businesses, according to this survey. But small businesses also enjoy significant energy-savings potential, between 10 and 30 percent. That’s why it’s so important for businesses to make energy efficiency a priority. Connect with the Cape Ann Saves Energy (CASE) program. This partnership among National Grid, the Cape Ann Chamber of Commerce, and the City of Gloucester helps local business owners find energy-savings programs that are right for them. Schedule a free facility energy assessment with Mass Save. MassSave offers no-cost assessments so businesses can discover ways to save energy and costs with practical ideas and tips. Carry out energy-saving improvements. Many MA businesses have saved money by conducting upgrades in lighting, heating and cooling, and appliances used for general operations and management. Here are some Massachusetts organizations and energy efficiency programs that are geared toward businesses. Mass Save: Business Rebates and Incentives. Find ways to make energy efficiency affordable. Mass Save is a collaborative of natural gas and electric utility providers and energy-efficiency service providers. Massachusetts Clean Energy Center. Learn more about energy efficiency and cost-effective opportunities for your business. This organization provides rebates and technical assistance to businesses that would like to increase their clean-energy output. National Grid. Discover energy-saving ideas for businesses. Green Plus.This nonprofit offers ways to encourage employees to use alternative transportation. Energy efficiency is a high priority here in Massachusetts. A state-designated Green Community, Gloucester has in the last decade undertaken several initiatives, such as switching streetlights to LED bulbs, making municipal buildings more energy efficient, and improving heating and air-conditioning systems. For the second year in a row, Gloucester was selected by National Grid to receive a $40,000 grant under its Energy Efficiency Community Initiative. At the state level, Massachusetts has long been a leader in energy-efficiency efforts. The 2017 State Energy Efficiency Scorecard ranked the state number one for the seventh consecutive year. The commonwealth has a wide range of policies that support transportation, building energy efficiency, combining heat and power, and appliance standards. Since the passage of the 2008 Green Communities Act, annual energy-efficiency investments and savings for the state have more than doubled. Find out whether your city or town has a dedicated manager to promote energy efficiency for all municipal facilities? If not, maybe you could make it happen. Ask whether you city or town has a planning document that establishes energy efficiency and climate change goals? If not, that could be your job — or you could help make it happen. Support state legislation and policies aimed at increasing energy efficiency and sustainability measures within Massachusetts. Here are some resources about state and local efforts to promote energy efficiency and address climate change. Massachusetts Green Communities Program. More than half of the state’s cities and towns, among them Gloucester, Essex, Rockport, and Manchester-by-the-Sea, have pledged to cut energy use by 20 percent over five years. City of Gloucester. Learn about Gloucester’s initiatives. Massachusetts Climate Action Network. This organization works with local communities throughout the state to facilitate climate policies and action. The Green Communities Act. 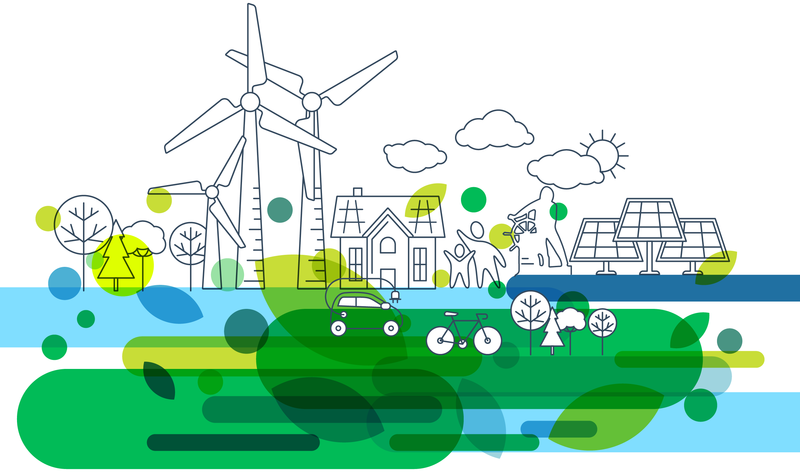 Here you’ll find a summary of the law’s energy-efficiency measures and a description of the Green Communities Program, which helps municipalities improve energy efficiency and develop renewable-energy projects. Northeast Energy Efficiency Partnerships (NEEP). This nonprofit works to accelerate energy efficiency in the Northeast and Mid-Atlantic states. Mass.gov. This site provides policies and regulations for energy efficiency in the state. American Council for an Energy-Efficient Economy. This national organization offers Massachusetts-specific information. MA Energy Efficiency Advisory Council. A policy and planning initiative of Mass Save, this council guides the progress of energy efficiency in the state.